Here's a video I made about using Parent's Choice newborn sized diapers for Baby Alive Real Suprirses, instead of using the expensive baby alive diapers. Violet sitting on the new Baby Alive potty. It is made for another Baby Alive doll, but we needed it. Its not a perfect fit, but it serves the purpose. Isn't Violet cute sitting on the potty? 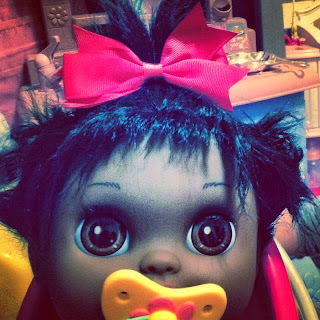 When Zoe and I got our original Baby Alive Real Surprises dolls, we cut their hair. I was so sad when I had to exchange Violet, because it would mean losing her hair style. 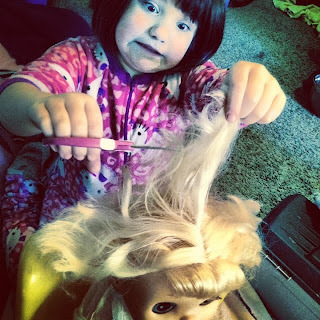 So not long after getting my new Baby Alive Real Surprises doll, Zoe and I cut her hair. I loved it even better than her first cut, but today we plussed her hair by palm rubbing her head. Violet now has the most perfect baby doll hair, ever. I am completely in love with her. Since my daughter and I have gotten our Baby Alive Real Surprises dolls, I have been searching for cheap alternatives to the expensive Baby Alive food. The baking soda method does work, but I really do not like how abrasive it is. It isn't anything like real baby food, or even like the Baby Alive food. The baking soda Baby Alive food is really grainy. It is one of the best alternatives I have found, but I really do not care for it. I have searched YouTube for many different alternatives. Many girls are using lotion and pretending it is yogurt for their dolls. I haven't ever tried the lotion. It really worries me. 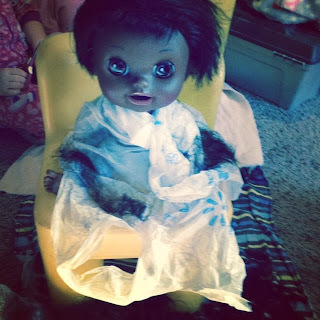 After our first dolls quit working, I have wanted to be extremely careful with what we give our Baby Alive dolls to eat. Some of my research has lead me to Sorbitol. Some say that REAL Baby Alive food is made of sorbitol. I am not sure if this is accurate, or not, but it does look really powdery, sometimes. I say sometimes, because there are also some really chunky packets of Baby Alive food. Put 1 tbsp. of sorbitol in a bowl. Slowly add water to the sorbitol using a tablespoon and stirring until you have a thin consistency. Keep track of how many tablespoons of water you added so you'll know for next time. 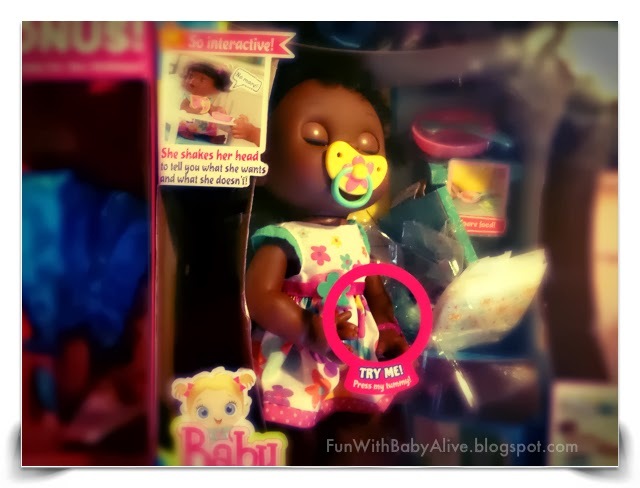 You don't want it to be too thick or it can get stuck inside the doll. Add two to four drops of food coloring to the sorbitol mixture. You can choose colors to simulate whatever baby food you want it to be--a light tan could be applesauce and yellow could be for bananas, for example. When I went to exchange my Baby Alive Real Surprises doll, yesterday, I got to looking at more My Life Doll clothes. My Life dolls are a knock-off brand of American Girls dolls that are sold at Walmart. They have really cute clothes and accessories for these dolls, and since I had read that American Girl doll clothes fit Baby Alive Real Surprises dolls, I had thought to try the shoes, recently. 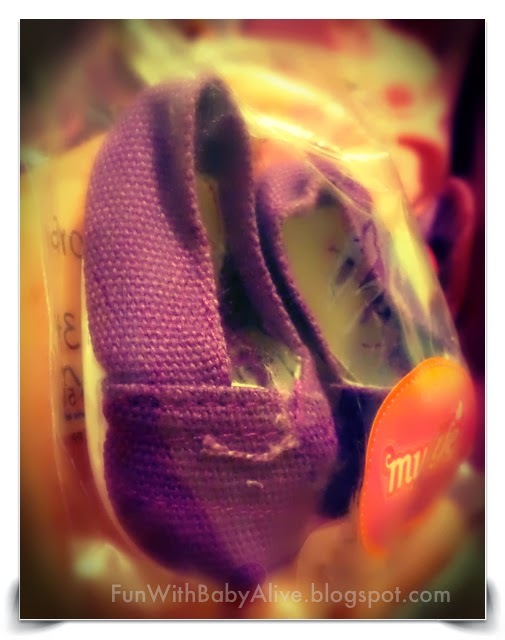 We had already purchased some of the My Life Doll shoes, and they fit our Baby Alive Real Surprises dolls really well. I was looking through the My Life clothes and found the cutest little skorts, jacket, and tee set for $9.98. 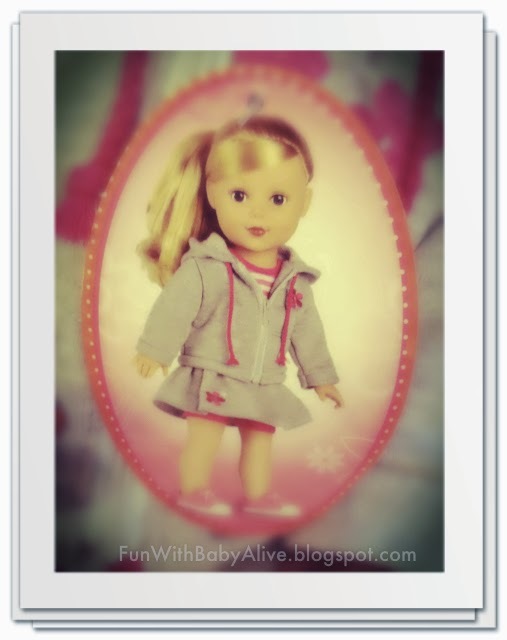 It is super cute, and Zoe has been wanting a jacket with a zipper and hood for her Baby Alive, so I thought I would get it for her, since I was exchanging and getting a new doll, today, and she was still waiting for Hasbro to send her a new Baby Alive. She needed something to make her feel better about her long wait for her precious baby doll. After picking out a cute outfit for Zoe's Baby Alive doll, I also picked out two pairs of new shoes. I opted to buy one pair of purple canvas My Life Doll Shoes and a pair of pink canvas My Life Doll Shoes. These little tiny shoes look like knock-off Tom's for dolls, and are only $2, each. They are adorbs! 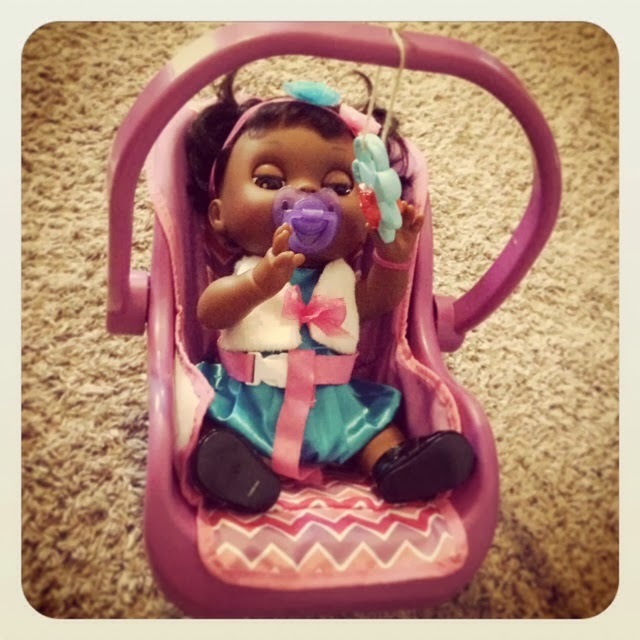 The My Doll Tom's Knock-offs do fit our Baby Alive dolls, but they are a booger to get on. Ugh... Not quite as simple as the Mary Janes or the Pink Slip-ons, but they do fit, and are very cute. When I gave Zoe her new doll outfit and shoes, she was so excited that she wanted to try them on Violet, since she doesn't have Eloise back, yet. The outfit and shoes look very cute on Violet, and we will probably be buying our Baby Alive Real Surprises dolls more My Life clothes and shoes in the future. I would love to buy some Baby Alive Clothes, but our local Walmart only has size medium in stock, right now. I hope they restock their Baby Alive clothes, soon! 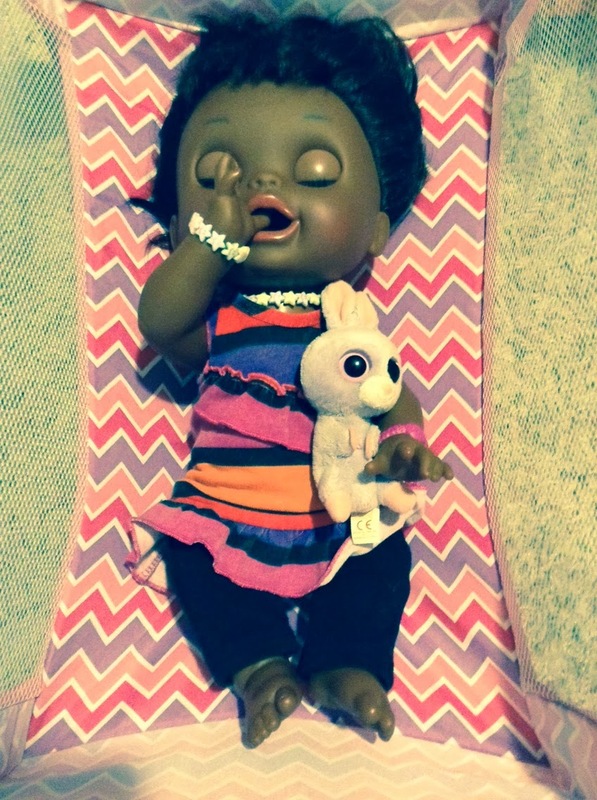 Less than a week after buying my beautiful Baby Alive Real Surprises doll, Violet, she stopped working. 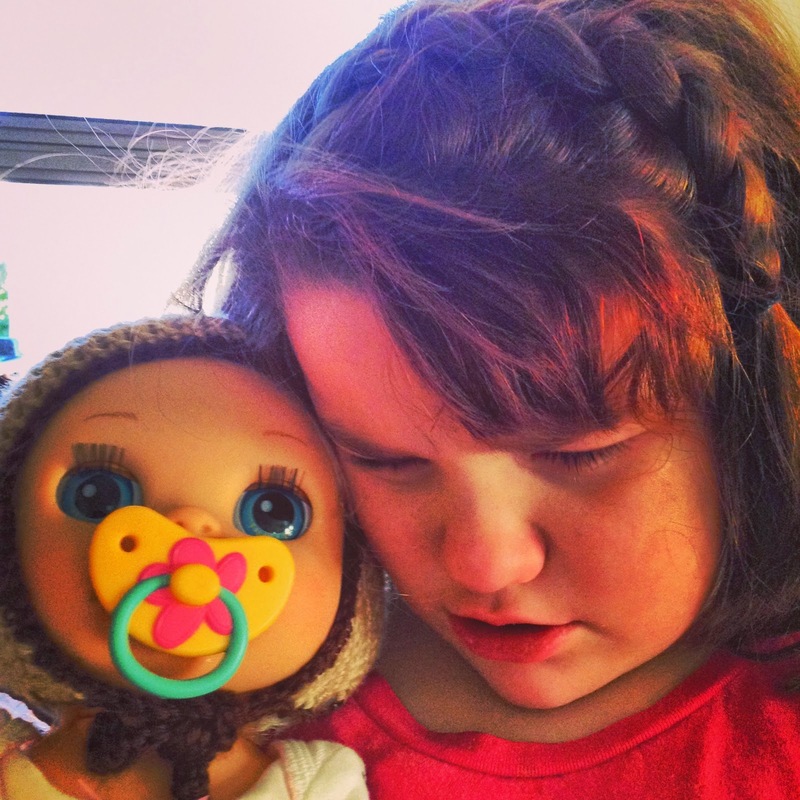 Zoe's Baby Alive had stopped working, too, and has been sent back to Hasbro for an exchange. I would have exchanged Zoe's Baby Alive at Wal-Mart, but we didn't keep her box, so we couldn't. 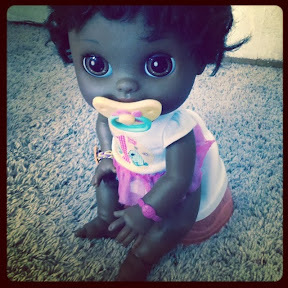 I did still have my Baby Alive box, though, so I was able to exchange my doll. I really did not want to exchange her, because I had given her a really cute hair cut, and grown so attached to her. 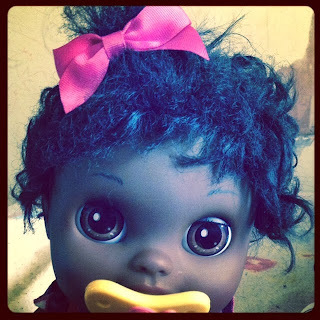 I decided I could re-cut my baby's hair, though, because after paying over $50 for a doll, she should at least last longer than a week. I regretfully packed Violet up in her box, and took her into the store. I had worried that they might not let me exchange her, because she had a haircut, but they did not say anything about it. My NEW Violet is home, and has adjusted to her life, quite well. She has been fed once, and I am being extra careful to not give her as much water this time. While I feel that they should make these babies able to drink and eat an unlimited amount without getting wet, I have learned NOT to give them too much water. We only fed Violet one packet of Baby Alive food and water in her bottle up to the lowest line. I am crossing my fingers she keeps working! Eloise has been shipped back to Hasbro to be replaced. Zoe has been really sad without her, today, and this was only the first day without Eloise. She has spent tons of time with Violet, and she even got to feed Violet her pears, but she still is really sad with out her precious Eloise. She has said that when she gets the replacement, she isn't sure if it's name will still be Eloise, so that is still to be determined. I got my Baby Alive Real Surprises, on January 24th, and it is January 31st, and it isn't working, at all. I am really attached to Violet, so the thought of getting a replacement doll really breaks my heart. Zoe felt the same way about having to send Eloise back, but she really wanted her Baby Alive to work. We have both already trimmed their hair and really grown attached to our babies, so I am really not sure what I will do. :-( I want her to talk and interact with me, but I feel sad to not have this specific Baby Alive... Is it weird to be so attached to a plastic child? I'm not sure what to do. :-( I wish it would just work! I thought maybe I had fed her too much water at once, or something, and I thought after a few days she would work. I even opened her and tried drying her a little, and she was still kind of working at that time. Now, though, she isn't working, at all. I'm not sure what I am going to do. If I do get a replacement, though, she will still be named Violet, and I will definitely trim her hair, again. I will try to feed her less water and food at a time, though, if I do get a replacement, because I do not want to have to have my Baby Alive replaced, again! 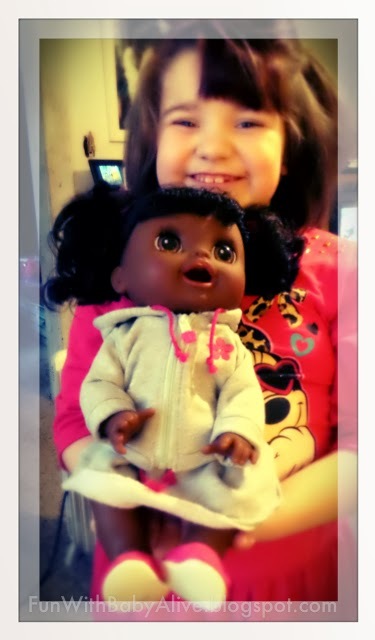 Zoe and I both have Baby Alive Real Surprises dolls. 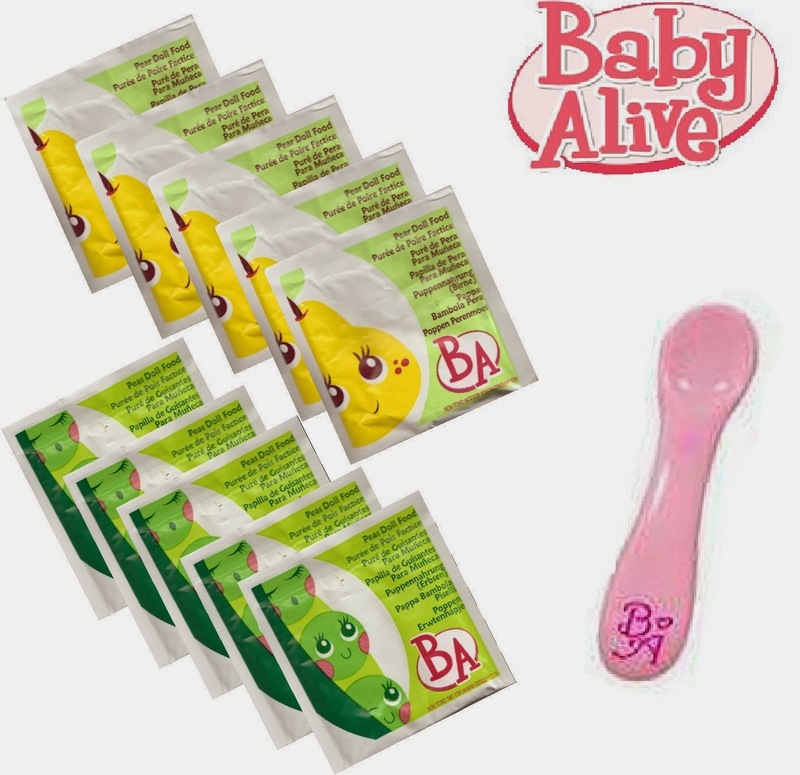 Hasbro makes many different accessories for Baby Alive, but we have also found some others that work well with Baby Alive Real Surprises. 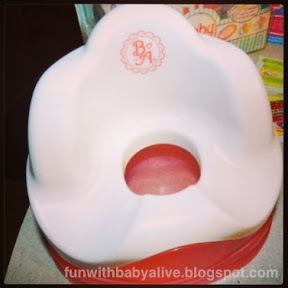 Here is our top 5 list for accessories that we love for Baby Alive Real Surprises (so far!). Zoe found the cutest baby doll car seats (carriers) at Wal-Mart, a while back. She fell in love and got her Baby Alive Real Surprises doll one. They are super cute, and I like hers so much that I even got Violet, my Baby Alive Real Surprises doll, one. They are only 10 dollars at Wal-Mart, and well worth the price. They are adorbs! Wal-mart sells their own version of the American Girls Dolls called 'My Life'. The dolls have really cute shoes at Wal-Mart for only $2. I read somewhere online that American Girls doll clothes fit Baby Alive Real Surprises, so I thought I would try out these My Life shoes. Zoe got a cute pair of pink shoes with bows for Eloise, and I got Violet a cute pair of black Mary Janes. We brought them home, and they fit Baby Alive Real Surprises perfectly. We are completely delighted with their new little shoes! There are several different pairs available, so we may be stopping back for more. They are sold out, but online they did sell the complete set for $20 here. 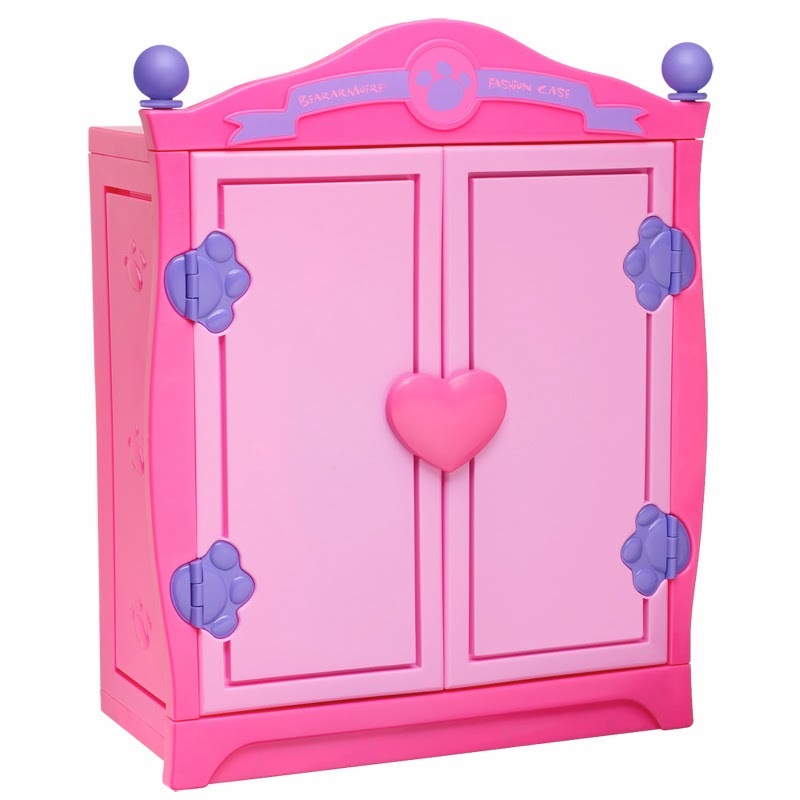 For Christmas, we got Zoe this doll nursery by American Plastic for her babies. 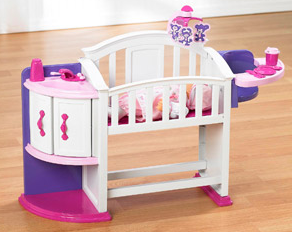 The nursery includes a play sink with a cabinet and shelf under the sink, a crib, and a high chair. This doll nursery works perfectly for Baby Alive Real Surprises, and even has a cute little mobile over the crib that Zoe LOVES. Baby Alive diapers are so expensive. For a pack of 6 diapers, it is almost 7 dollars! 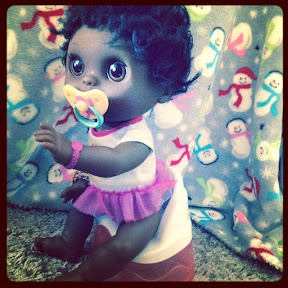 We decided to start buying Parent's Choice Newborn Diapers, and they work great for our Baby Alive Real Surprises dolls. The newborn pack comes with 40 diapers for less than 6 dollars, compared to the 6 pack of Baby Alive Diapers that sell for around $6.99.